Your wardrobe says a lot about you. The style, the quality of fabric and how your clothing fits all contribute to the way you are perceived by others. Building a wardrobe takes time, attention and resources – you might say your clothing is an investment. Why not make sure your investment is doing the most it can for you? 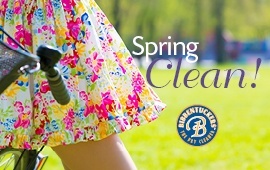 Start by having alterations and custom-tailored clothing by Bibbentuckers experts for a perfect fit. Meet two of the numerous Bibbentuckers' professional tailors who are at your service. Lucy Jeon (pictured on the left) brings decades of experience with a variety of custom clothing and alterations projects. She considers herself a specialist in ladies’ clothing. I think it’s important to advise our customers on what will make them look their best,” says Lucy. “I look at their entire body and how certain fabrics will hang. It’s very important to be sure clothing fits properly and is flattering to the body. Sonia Stice (pictured on the right) brings 25 years of experience. She has done alterations for a number of well-known local retailers, including Neiman Marcus, Victor Costa, and JC Penney. 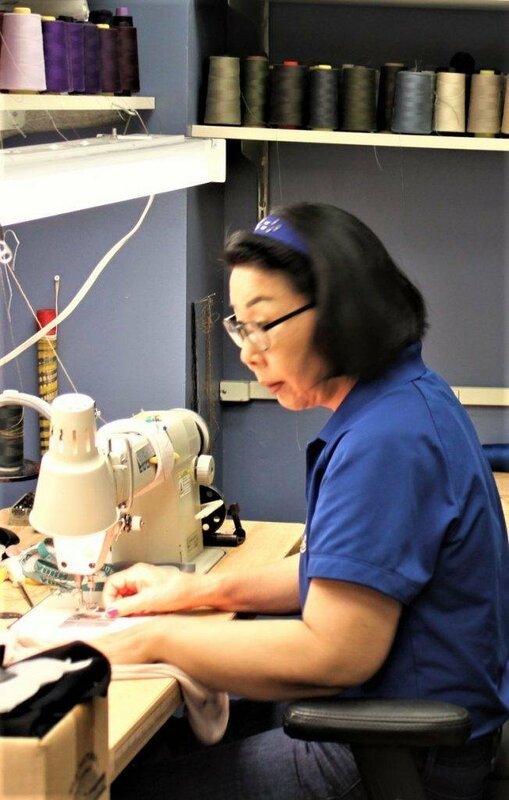 In addition to working on standard hems and buttons, she works with even the most challenging fabrics and has an eye for style. Bibbentuckers takes pride in our team of expert tailors who like to solve problems. These professionals help our customers feel good about how they look. Let them customize your favorite pieces. The purpose of Bibbentuckers is to have its patrons looking great in leisure or formal wear, jeans or a cocktail dress. Sometimes alterations by an experienced tailor are needed, and therefore, we decided to provide that service to our customers. Here you can bring your stylish clothes from a variety of brands including seasonal collection pieces from the top or bottom brands. We provide high-end quality dressmaking, tailoring and alteration services -- Specializing in formal cocktail and Bridal dresses. However, we also perform alterations on Sports Jackets, Men's and Women's Suits, Slacks, Formal and Leisure Dresses, Gowns, Wedding Dresses, and Leather Jackets, Coats & Pants. We can turn your ideas into a great masterpiece. Because Bibbentuckers has earned the reputation of being the best quality cleaners in the Dallas & Fort Worth area, we must on a daily basis exceed all expectations. 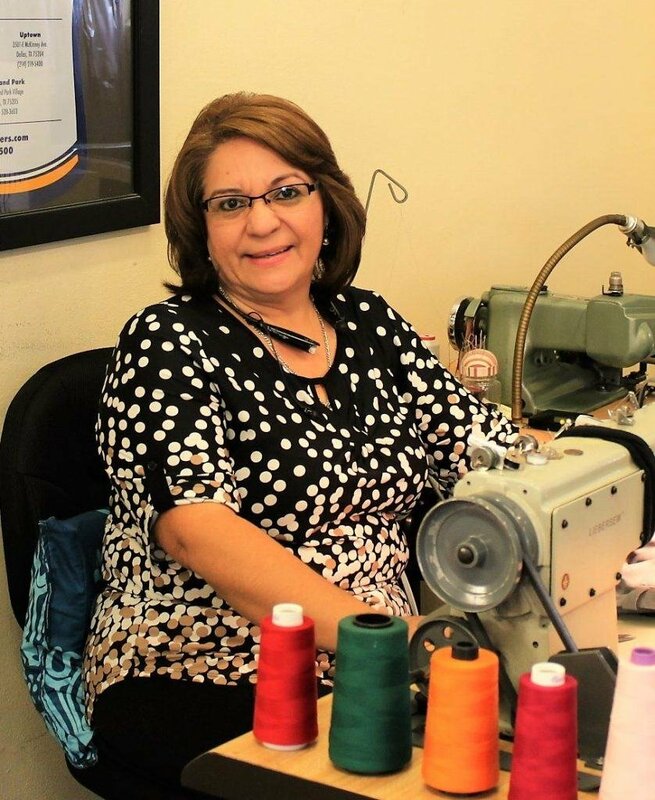 Providing alterations is just one of the ways we can keep being the best. Our professional alteration services personnel will alter your garments to your satisfaction and do it perfectly.